Complimentary transportation to area attractions. The La Quinta Inn Phoenix Sky Harbor Airport has superb free shuttle service to the Sky harbor airport daily from 5:30 am to 12:30 am, making it easy to get to your hotel from the airport. La Quinta Inn Phoenix Sky Harbor Airport recently was recognized as a Certificate of Excellence award winner! 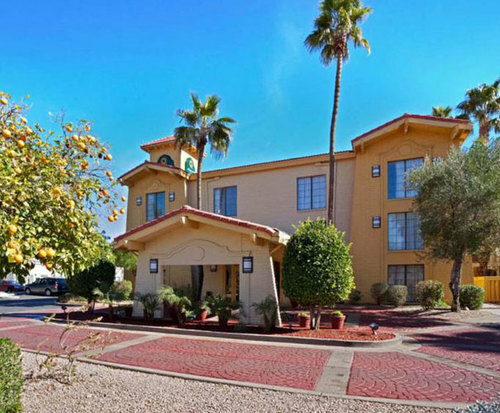 At La Quinta Phoenix Sky Harbor Airport you will have access to the outdoor swimming pool, high-speed internet and wireless access, a business center with fax and copying capabilities, a guest laundry and an amazing "Bright Side Breakfast." The breakfast includes: Waffles, Hot and cold cereal, Bread and muffins, Fresh fruit, All-you-can-drink coffee and juice, Boiled Eggs, Yogurt, Bagels, and Milk. After you have had a filling breakfast you may be ready to see some of the sights nearby. 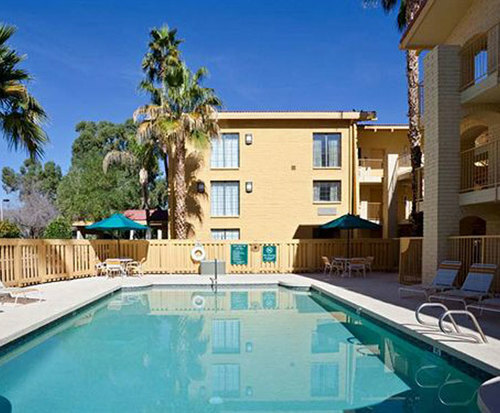 The hotel is located just 3 miles from Tempe and the Arizona State University. You may also choose to spend some time shopping at the Arizona Mills Mall. Here you will find many acres of retail outlet stores. There are also a variety of popular themed restaurants, and an IMAX theater. 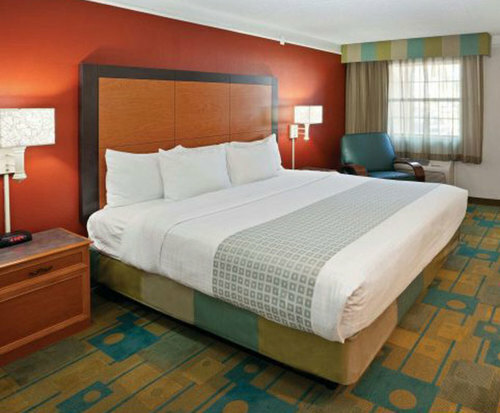 With our new renovation each room is newly equipped with flat-panel TVs with 30 available of HD programming. Easy access to the Plug-and-Play feature allows for easy connect other electronics. Our rooms also include free wireless high-speed internet access, free local calls and complimentary shampoo, conditioner, and lotion. Irons, ironing boards, and room service is available on request. We have a well-trained and friendly staff that is looking forward to making your stay with us the best that you could hope for .